EduRealms is maintained by Lucas Gillispie. Lucas has been an educator for over 19 years, working as a high school science teacher for ten years before transitioning to district-level work as an instructional technologist. 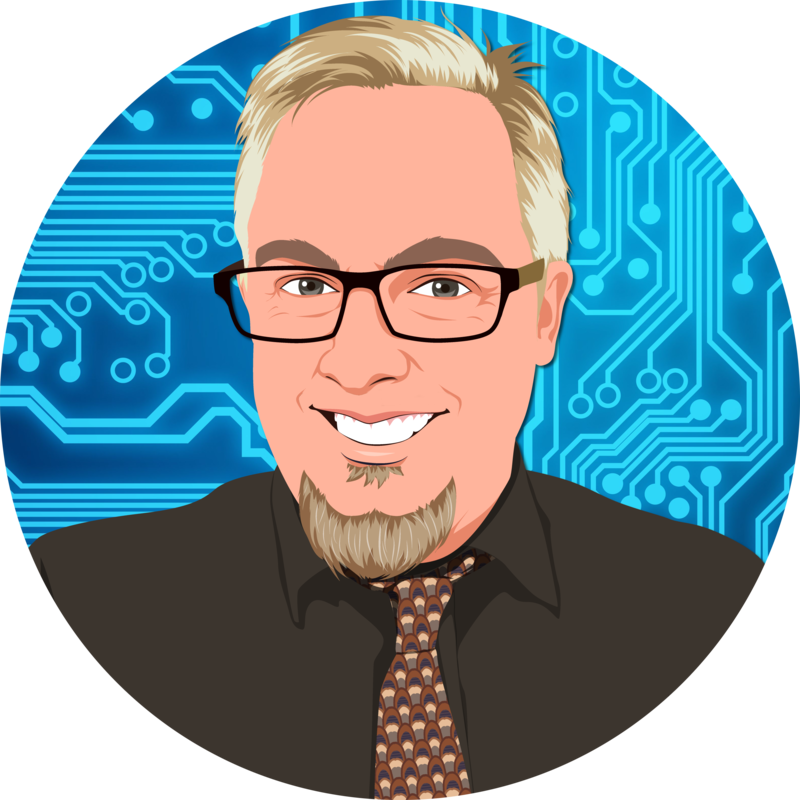 He is currently the Director of Digital Learning and Media for Surry County Schools in western North Carolina and a presenter and keynote speaker on everything from games and learning to memes and viral videos. Lucas holds a MS in Instructional Technology from the University of North Carolina Wilmington where he completed thesis work researching the effects of a 3D video game on middle school students’ achievement and attitude in mathematics. His interests include gaming in education particularly the use of MMORPG’s (Massively Multiplayer Online Roleplay Games), gamification, virtual reality, mobile game-based learning, virtual training and simulations. He is the creator of the WoWinSchool Project, a collaborative effort to explore the impact of using World of Warcraft and other MMOs in both an after-school program and as part of the regular instructional program, Minecraft in School, which seeks to explore the use of Minecraft in with elementary learners, SAGA (Story and Game Academy), and iPod Games for Learning, a program that uses the iPad and iPod Touch as platforms for game-based learning. His current work is exploring gamification of teacher professional development through EPIC Academy and how virtual reality can impact student learning and engagement. His presentations have been well-received at Games, Learning, and Society, ISTE, Gamification Summit, eVirtuoses, Virtual Worlds Best Practices in Education, Games in Education, NCTIES, and NCSLMA among others. Gillispie, L. (October 2018) – Games and Learning in School. Keynote presented at the 2018 Game PD Day of the Gaming Association of Manitoba Educators. Winnipeg, Manitoba. Gillispie, L. (April 2018) – Teacher as Game Master. Presented at the 2018 Piedmont Digital Learning Symposium. Gastonia, NC. Gillispie, L and Gillispie, Elorah. (August 2017) – Boom! Team-Based Learning in Minecraft. Presented at Minefaire Charlotte 2017. Gillispie, L. and Ray, A. (March 2017) – The Future Is Now AR and VR in the Classroom. Presented at NCTIES. Raleigh, NC. Gillispie, L. (August 2016) – Digging into Learning with Minecraft. Presented at GenCon 2016. Indianapolis, IN. 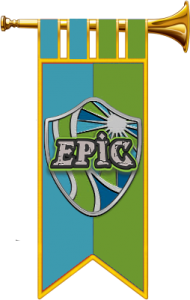 Gillispie, L. (August 2016) – EPIC Academy – Game-Inspired PD for Busy Educators. Presented at the 2016 Serious Play Conference. Chapel Hill, NC. Gillispie, L. (April 2016) – When the Internet Chooses You: Viral Videos, Memes, and Internet Subculture for Educators. Keynote at Wake County Schools Convergence Conference, Raliegh, NC. Gillispie, L. (February 2016) – Gamified Professional Development with EPIC Academy. Presented at the 2015 NCASCD Annual Conference. Pinehurst, North Carolina. Gillispie, L. (December 2015) – 2015 White House CS Tech Jam – Participant. Washington, D.C.
Gillispie, L. (August 2015) – EPIC Academy: Gamified PD! Presented online at the 2015 Games in Education Symposium. Albany, New York. Gillispie, L. (July 2015) – Teacher as Game Master. Presented at The North Carolina Center for the Advancement of Teaching’s Teaching Generation Z Event. Cullowhee, NC. Gillispie, L., Ray, A. (July 2015) – Minecraft in the Classroom. Presented at The North Carolina Center for the Advancement of Teaching’s Teaching Generation Z Event. Cullowhee, NC. Gillispie, L. (May 2015) – From Students to Heroes: World of Warcraft in the Classroom. Presented at the 2015 Playful Learning Summit. University of Ohio – Athens. Athens, Ohio. Gillispie, L. (April 2015) – Minecraft – The Ultimate, Digital Maker Space. Presented at UNCW AIG Conference. Wilmington, North Carolina. Reinhardt, J., White, K. Gillispie, L. – (February 2015) – Infinite Pathways: Customized, Personalized Learning in Surry County Schools. Presented at the 2015 NCASCD Annual Conference. Pinehurst, North Carolina. Gillispie, L. (January 2015) – Minecraft – The Ultimate, Digital Maker Space. Presented at First Annual UNCW STEM Conference. Wilmington, North Carolina. Gillispie, L. (June 2014) – Let The Games Begin! Transform Your Classroom with Popular Commercial Games. Presentation for edWeb.net. Online. Gillispie, L. (May 2014) – Minecraft: Where Everybody Knows Your Name. Keynote at 2014 Playful Learning Summit – Clemson Univesity. Greenville, South Carolina. Gillispie, L. (April 2014) – Minecraft: Where Everybody Knows Your Name. Presented at 2014 Playful Learning Summit – University of Ohio Athens. Athens, Ohio. Gillispie, L. (April 2014) – From Students to Heroes – Unlocking Students’ Potential Through Games. Keynote presented at the 2014 Foundations of Digital Games Conference. Cozumel, Mexico. Gillispie, L. (March 2014) – Minecraft: Where Everybody Knows Your Name. Presented at the 2014 North Carolina Technology in Education Society Annual Conference. Raleigh, NC. Gillispie, L. (November 2013) – A Master Teacher Advocates Powerful Games for Powerful Learning. Pixelkin. Online. Fujimoto, R., Gillispie, L., Malmstrom, M., John, M., Stuckey, B. (November 2013) – Minecraft As A Game-Based Learning Environment. DML Connected Learning. Online. Haskell, C., Malmstrom, M., Sheehy, P., Miller, A., (November 2013) – The Future of Game-based Learning and Virtual Spaces. iNACOL. Orlando, Florida and Online. Gillispie, L. (August 2013) – It’s Gonna Be The Future Soon: Science Fiction, Video Games, And The Future of Learning. Keynote presented at the 2013 Games in Education Symposium. Saratoga Springs, NY. Gillispie, L. (August 2013) – Minecraft in Education. Presented at Quest Boise 2013. Online. Van Mastrigt, J., Sort, A., Gillispie, L., Richardson, K. (June 2013). Serious Games and Gamification: Four International Approaches. Presented at the 2013 eVirtuoses Summit. Valeniciennes, France. Hamon, G., Gillispie, L., Richardson, K., Stora, M. (June 2013). How to Create Better and Cheaper Serious Games. Workshop presented at the 2013 eVirtuoses Summit. Valenciennes, France. Gillispie, L. (April 2013). 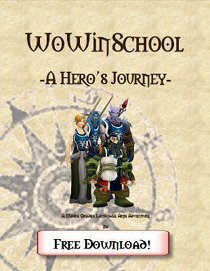 WoWinSchool: How to Use WoW and MMORPGs to Engage Students. Presented at the 2013 Gamification Summit. San Francisco, CA. Gillispie, L., Haskell, C., Deasy, S. (March 2013). Gamifying Your Curriculum. Panel Discussion presented at the 2013 North Carolina Technology in Education Society Annual Conference. Raleigh, NC. Gillispie, L. (March 2013). When The Internet Chooses You: Memes, Viral Videos, and Internet Subculture – A Primer for Educators. Presented at the 2013 North Carolina Technology in Education Society Annual Conference. Raleigh, NC. Gillispie, L. (March 2013). Digging into Learning with Minecraft. Workshop presented at the 2013 North Carolina Technology in Education Society Annual Conference. Raleigh, NC. Gillispie, L. (October, 2012). Digging Deep with Minecraft. Presented at the 2012 North Carolina School Library Media Association Conference. Winston-Salem, NC. Gillispie, L. (August, 2012). 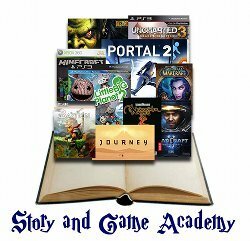 SAGA (Story and Game Academy): Exploring the Storytelling in Games. Presented at the 2012 Games in Education Symposium. Albany, NY. Collier, A., Gillispie, L., Malmstrom, M., Sheehy P., and Stuckey, B. (2012 August). Expanding the Conversation: How does playing online games foster safety? Panel discussion at the 2012 Games in Education Symposium. Albany, NY. Gillispie, L. and Sheehy, P. (2012, March). An Epic Quest: Applying the Principles of Games to Learning. Workshop presented at the 2012 North Carolina Technology in Education Society Annual Conference. Gillispie, L. (2011, November). Classroom Cataclysm. Presented, online, for the 2011 New York State Association for Computers and Technologies in Education 2011 Annual Conference. Rochester, NY. Gillispie, L. (2011, November). Energize the Curriculum: Put Game-Based Learning in the Palm of Your Students’ Hands. School Library Journal. November 2011. Gillispie, L. (2011, October). Game On: How Video Games Can Bring Excitement and Learning to Your Media Center. Presented at the 2011 North Carolina School Library Media Association Annual Conference. Winston-Salem, NC. Gillispie, L. (2011, October). When Students Become Heroes: World of Warcraft in the Classroom. Presented at the 2011 North Carolina School Library Media Association Annual Conference. Winston-Salem, NC. Gillispie, L. (2011, September). Becoming Lore Keepers. School Library Journal. September 2011. Sheehy, P. and Gillispie, L. (2011, August). WoWinSchool: Classroom Cataclysm. Presented at the 2011 Games in Education Symposium, Schenectady, NY. Sheehy, P. and Gillispie, L. (2011, August). WoW for Educators. Workshop conducted at the 2011 Games in Education Symposium, Schenectady, NY. Parsons, C., Sheehy, P., Gillispie, L. (2011, August). Reflecting on Collective Cognitive Dissonance. Panel at the 2011 Games in Education Symposium, Schenectady, NY. Levin, J. and Gillispie, L. (2011, August). Taking Learning Underground: Minecraft in the Classroom. Workshop presented at the 2011 Games in Education Symposium, Schenectady, NY. Sheehy, P. and Gillispie, L. (2011, June). The Hero’s Journey. Presentation at 2011 International Society for Technology in Education Annual Conference, Philadelphia, PA.
Gillispie, L. (2011, March). A Hero’s Journey: Play and Pedagogy in World of Warcraft. Workshop presented at the 2011 North Carolina Technology in Education Society Annual Conference, Raleigh, NC. Gillispie, L. (2011, March). 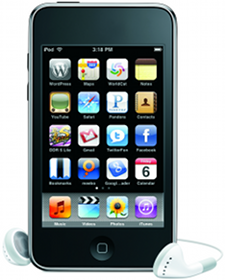 Game-Based Learning With The iPod Touch. Workshop presented at the 2011 North Carolina Technology in Education Society Annual Conference, Raleigh, NC. Gillispie, L. (2011, March). Game On! Integrating Video Games into The Classroom. Presented at the 2011 North Carolina Technology in Education Society Annual Conference, Raleigh, NC. Gillispie, L., Parker, M., Martin, F. (2010, August). Game Play Is Important For Learning. Learning and Leading With Technology. pp. 28-30. August, 2010. Gillispie, L. and Sheehy, P. (2010, June). Learning with the Lich King: The Potential of World of Warcraft in the Classroom. Workshop presented at the 2010 Games, Learning, and Society Conference – Educators Symposium, Madison, WI. Gillispie, L. (2010, June). Learning with the Lich King: Education in World of Warcraft. Presented at the 2010 Games, Learning and Society Conference, Madison, WI. Gillispie, L. (2010, March). World of Warcraft in the Classroom: Learning With the Lich King 2.0. Presented at North Carolina Technology in Education Society Annual Conference, Raleigh, NC. Gillispie, L. (2010, March). Know Your Gnomes: A Student-Led Virtual Tour of World of Warcraft. Presented at the 2010 Virtual Worlds Best Practices in Education Conference, Sisters of Elune Server, World of Warcraft. Gillispie, L. & Sheehy, P. (2010, March). Learning With the Lich King 2.0. Presented at the 2010 Virtual Worlds Best Practices in Education Conference, Second Life. Gillispie, L. (2009, August). Learning With The Lich King. Presented at Games in Education Symposium, Troy, NY. Gillispie, L. (2009, March). Game On! Connecting Video Games and Virtual Worlds to Instruction. Presented at the 2009 North Carolina Distance Learning Association Virtual Conference, PCS Island, Second Life. Gillispie, L., Martin, F., & Parker, M. (2009, March). Effects of the Dimension-M 3D Video Gaming Experience on Middle School Student Achievement and Attitude in Mathematics. Presented at Society for Information Technology and Teacher Education Conference, Charleston, SC. Martin, F., & Gillispie, L. (2009, March). Multimedia Tools (Proprietary, Open Source and Freeware) for Developers. Presented at Society for Information Technology and Teacher Education Conference, Charleston, SC. Gillispie, L. (2009, March). Embracing the Power of Virtual Worlds and Video Games in Education. Presented at North Carolina Technology in Education Society Annual Conference, Raleigh, NC. Gillispie, L (2009, April). Game On! Connecting Video Games and Virtual Worlds to Instruction. Presented at North Carolina Distance Learning Association Virtual Conference, Second Life. Gillispie, L. (2008. July). “USeIT: Using Squeak to Infuse Information Technology into the STEM Curriculum,” Proceedings of the Games, Learning and Society 4.0 Conference. Founding Board Member, Games for Education.